As Darfur burns, another region of Sudan lies in a precariously-balanced state of peace. Local grievances, the threat of natural disaster, and the possibility of war between neighbouring Eritrea and Ethiopia leave the humanitarian situation on the edge. 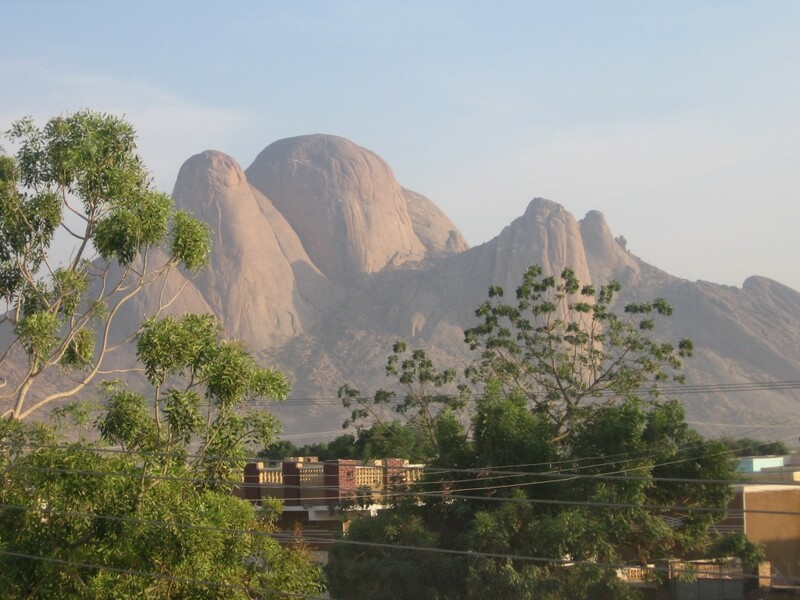 KASSALA, Sudan – A town of 250,000 people in eastern Sudan, Kassala sits eight hours drive from Khartoum, across cropland and semi-arid bush, and driving close where the British under Kitchener built the world’s largest irrigation project. But the first thing you see as you come near the city are the Taka Mountains. As they emerge from the sun-glistened haze, on an otherwise prairie-flat topography, the rounded mountains look like giant rocks rolled across Sudan sometime back when there were gods or giants around to do such things. The second thing you see is the baked-dry river bed – a de facto hard place which will be without water until the next rainy season, due in July. In 2003 the Algash River burst its banks. The annual rainy season – the lifeblood for the onion, mango, sorghum, orange and grapefruit harvest in the region – flooded the whole town, destroying some livelihoods and disrupting most. As we passed over the main bridge leading into the town from Khartoum, all we saw and rippled and rocky sand carpet spread between the levees. But when the rains come in July, this semi-arid market city may once again turn into a riverain quagmire. In between the river and the mountains, GOAL works in Kassala town combining development work and emergency response in a multifaceted programme combining school building, healthcare provision, vocational skills training, community development and water-sanitation. Fatima Hassan is an internally-displaced person (IDP) reliant on the GOAL clinic at Adraman, outside Kassala, as her sole source of primary healthcare. She said that ‘this is only healthcare in the area’, as she sat waiting to have her eight-month old son inoculated against . She had travelled 15 kilometres that morning to reach the clinic. Floods may destroy livelihoods, even those in their infancy for the IDPs which the clinics serve. Floods can cut people off from the physical health infrastructure, which like livelihoods remains at an early stage. And the floods create a disease-ridden ecology where malaria reaps its annual harvest, just as the waters feed the real harvest. The main local ethnic groups are the Beja, an indigenous group, and one of Sudan’s largest, comprises numerous subdivisions who have lived in the region for 4000 years – and the Rashaida, descended from 19th century Bedouin immigrants from the Arabian peninsula. Their fairer complexion and nomadic lifestyle marks them out from the longer established Beja. However, unlike elsewhere in Sudan, inter-ethnic clashes are rare and localised co-operation more than conflict is the norm. But tensions are really offset by the perception of a common problem in Khartoum, where the Sudanese government is perceived to neglect the eastern region. The peace agreement between north and south, signed on January 9 2005, did not address eastern-specific issues, despite the claims of marginalisation by local groups, and despite the fact that the so-called north-south war spread directly into eastern Sudan – first-hand evidence of which was encountered at the GOAL clinic serving IDPs displaced by the conflict. And now the provisions of the agreement are starting to affect the eastern region directly. The Sudan People’s Liberation Army (SPLM/A), the main southern rebel group and signatory to the peace agreement, is due to withdraw from the Hameshkoreb area, south of Kassala. It is unclear whether local militia groups – in the guise of the Eastern Front – a conglomerate dominated by 2 main organisations – the Beja Congress and Rashaida Free Lions – will make a military claim to the territory in the ensuing power vacuum. Already the government has more troops in the strategically-significant and agri-resource rich east than it has in Darfur. And the links with Darfur, as with the north-south peace deal, are becoming more telling. The Justice and Equality Movement (JEM), the secondary Darfurian rebel group, has formalised ties with the Eastern Front, based party on a shared perception that Khartoum has marginalised peripheral regions in Sudan. Moreover, with Ethiopia and Eritrea reportedly edging closer to renewed war, the border region of Sudan could once again become host to hundreds of thousands of Eritrean refugees – as was the case in the 1998-2000 war between Eritrea and Ethiopia, in addition to the 65,000 Sudanese IDPs already in the area. The Eritrean border lies just 20km from Kassala, and local people concerns – particularly on the eastern and southern sides of the city – are that renewed conflict between Sudan’s eastern neighbours will have severe knock effects for them. But irrespective of the political and military contests in the region and beyond, any decline in the security situation in and outside eastern Sudan will only have a negative effect on the humanitarian well-being of the people. Officials from the International Committee of the Red Cross (ICRC) have said that eastern Sudan is one of the most underserved areas in the world and is in need of major humanitarian assistance efforts. Some of the baseline humanitarian indicators for eastern Sudan were worse than those for Darfur, at least prior to the recent upsurge in violence. So with prospects for recovery and development still in the balance for eastern Sudan, the people of Kassala remain precariously wedged – between the rocky prospect of conflict and insecurity on the one hand, and the hard place of natural disaster on the other. Another Darfur must not take place here. And proof that the Sudanese Red Crescent stole the funds allocated to development projects of the western Red Sea and witness the Red Cross, Norwegian.